This Meatball Soup is the most satisfying soup you will slurp all season! Meatball Soup is only as good as the meatballs, and these Swedish meatballs are the best! 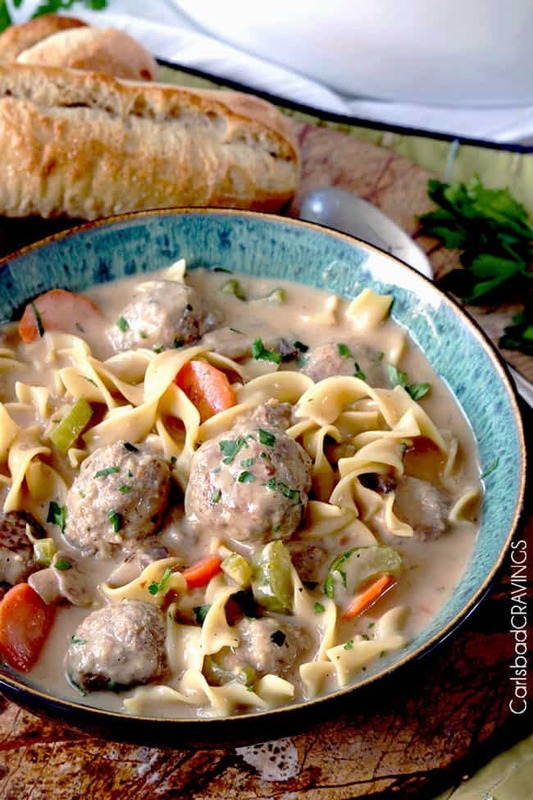 This Meatball Soup is made with tender, juicy meatballs, hearty egg noodles, carrots, mushrooms and celery all swimming in luscious creamy brown gravy broth swirled with sour cream. 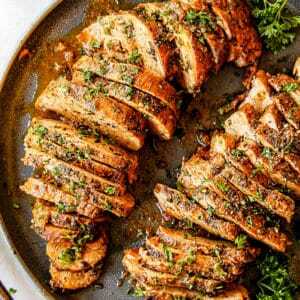 It is hearty, satisfying and with one bite, it will be a beautifully delicious day! Cloudy with a chance of Meatball Soup. If we could be so lucky. Growing up, my mom made three kinds of meatballs: Waikiki meatballs, porcupine meatballs and Swedish meatballs. 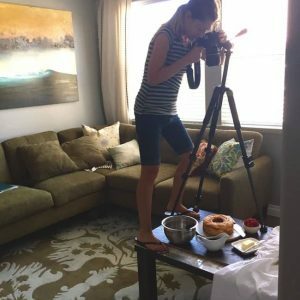 I begged her to make them all – even more so after reading Cloudy With A Chance Of Meatballs in the second grade. The oversized meatballs crashing into houses just made me wish they would crash into my mouth. 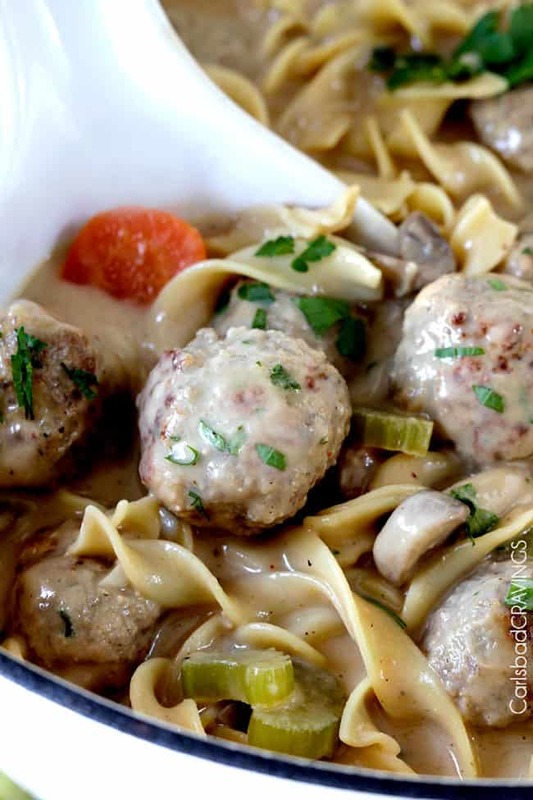 Since my youthful Cloudy With A Chance Of Meatballs days, I’ve made several new favorite meatball recipes such as Italian Meatballs, Cranberry Meatballs, Buffalo Meatballs, Korean Meatballs and Parmesan Meatballs – all delectable, but I don’t think it gets any more comforting than Swedish meatballs- so why not turn them into Meatball Soup? 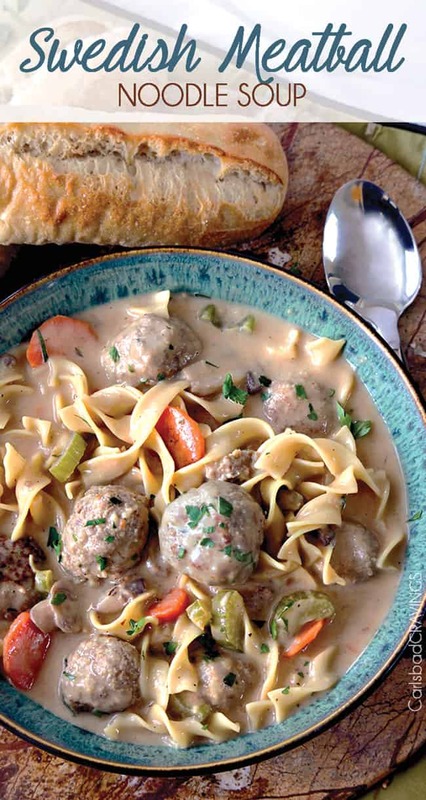 This Meatball Soup is everything you love about Swedish meatballs. Juicy meatballs and egg noodles cradled in luscious, rich broth. Meatballs and noodles. Two food staples that always fill me with sunshine. 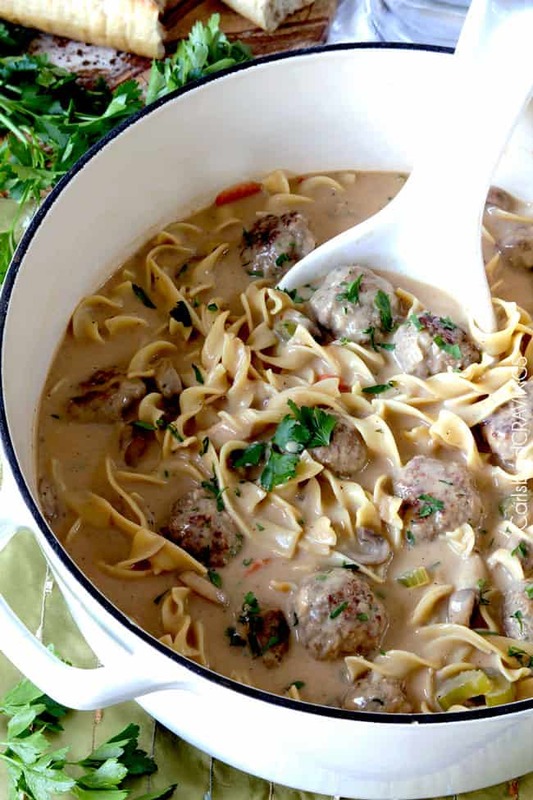 Your family will love this new comforting, creamy Meatball Soup tradition! Meatball Soup starts with stellar meatballs. I stayed true to the traditional Swedish meatballs characterized by its combination of beef and pork and bread crumbs soaked in cream, then spiced them with a harmonious blend of nutty, slightly sweet nutmeg and allspice to create a mega tender, flavorful meatball. Swedish meatballs are traditionally served in a rich brown gravy enlivened with sour cream over noodles, so for this Meatball Soup, I transformed the gravy into a creamy beefy broth which allows the meatballs to swim in and soak up its velvety paprika, parsley spiced deliciousness. The broth begins with a roux of flour and butter to add body and then whisked with beef broth, Worcestershire sauce and seasonings. Sour cream is later added to create a luscious, rich, creamy, tangy broth. This Meatball Noodle Soup is further elevated with egg noodles. Their fluffy, silky texture cooks up perfectly every time and is a delectable companion to the moist, tender meatballs. These noodles are ideal for soups, noodle bakes and your favorite meats and sauces because they hold their form and texture and don’t become soggy when smothered. You can use different noodles, if you prefer, and the soup will still be delicious – just less Swedish and more Meatball Soup. This Meatball Soup begins with a mirepoix (pronounced “meer-pwah”), which is essentially a fancy French term for carrots, onions and celery sautéed in butter/olive oil. Every chef will tell you that every great soup or stew should begin with a mirepoix – and I agree. It adds richness and depth of flavor that can’t be achieved any other way. I also add mushrooms to this Meatball Soup, but they are optional if you are not a fan. This Meatball Soup would just be meatballs and broth if it wasn’t for the seasonings. The meatballs are seasoned with garlic powder, ground nutmeg, ground allspice, salt and pepper.The broth is seasoned with dried parsley, paprika, salt and pepper and red pepper flakes. If you aren’t sure how much red pepper flakes to add, then start with less because you can easily add heat, but it is hard to take away! I find 1 tablespoon meatballs to be the best size for Meatball Soup. They are large enough that they remain juicy and don’t overcook and you are rewarded with a satisfying meaty bite.That being said, you are welcome to make mini meatballs if you prefer. They will require less cooking time when browning, so adjust time accordingly. If you are short on time, you can definitely use store bought meatballs for this Meatball Soup recipe. 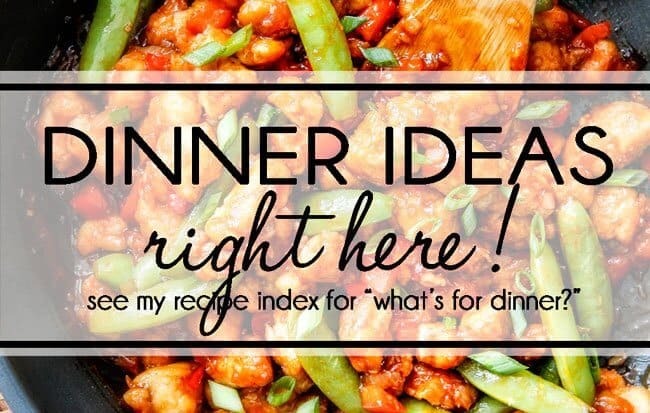 Ground beef, turkey and even chicken meatballs will work great. The meatballs won’t have the Swedish seasoning or characteristic tenderness, but the broth will still boast the delicious flavor. But next time, I HIGHLY encourage you to use these homemade meatballs – they are to live for! Cook meatballs according to directions (Steps 1-4). Let meatballs cool to room temperature. Line meatballs on a baking sheet so they aren’t touching. Transfer meatballs to a freezer safe bag or container. This Meatball Soup is very simple but it does require chopping the veggies and making the meatballs. Fortunately, you can do both in advance! Meatballs: You can completely assemble and cook the meatballs according to directions. 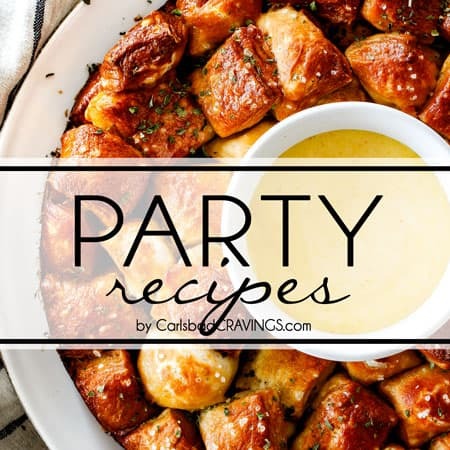 To store, line meatballs on a paper towel lined plate and tightly wrap with foil or plastic wrap or line on a paper-towel lined airtight container. Store in the refrigerator until ready to use. Veggies: You can also save time beforehand by chopping your onions, garlic, carrots, celery and mushrooms. Store pre-cut veggies in an airtight container in the refrigerator. Mushrooms don’t last very long once sliced, so be sure to use them within 24 hours. After cooking your skillet meatballs, simply sauté your carrots, celery and mushrooms for a few minutes. Sprinkle in flour, cook for a few more minutes then stir in beef broth and a little cream along with parsley and paprika and other spices to create luscious, creamy beef broth. Add your meatballs, and simmer a few minutes. Stir in your smooth, firm and delicious egg noodles followed by a little sour cream and eat! Freshly made meatballs require about 20 minutes simmering time to cook in a soup. In this Meatball Soup recipe, however, we are skipping that step by browning our meatballs first on the stove. These meatballs are are SO tender, they will fall apart if you try and add them directly to the soup without cooking first. Browning meatballs first also seals in the moisture and enhances the flavor.Since the meatballs are already cooked, they only need to be warmed through in the soup, about 5 minutes. They will require more time if you are using frozen meatballs. Cook Pasta Separately: Cook the pasta just until al dente (meaning it has a little bite) separate from the soup. Rinse with cold water so it doesn’t keep cooking. Cooking the pasta separately cooks the pasta more evenly and saves you from babysitting the soup and ruining an entire pot of Meatball Soup with mushy pasta.Customize Veggies: This Meatball Soup Recipe has celery, carrots and mushrooms but feel free to customize the veggies with your favorites or whatever you have on hand. 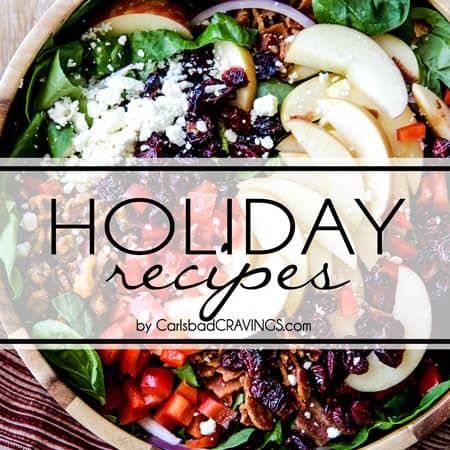 Potatoes, zucchini, green beans, spinach, etc. would all be delicious.Scale Down: This Meatball Soup recipe makes a lot of servings so I would recommend scaling down if you don’t have a large family and don’t want leftovers. 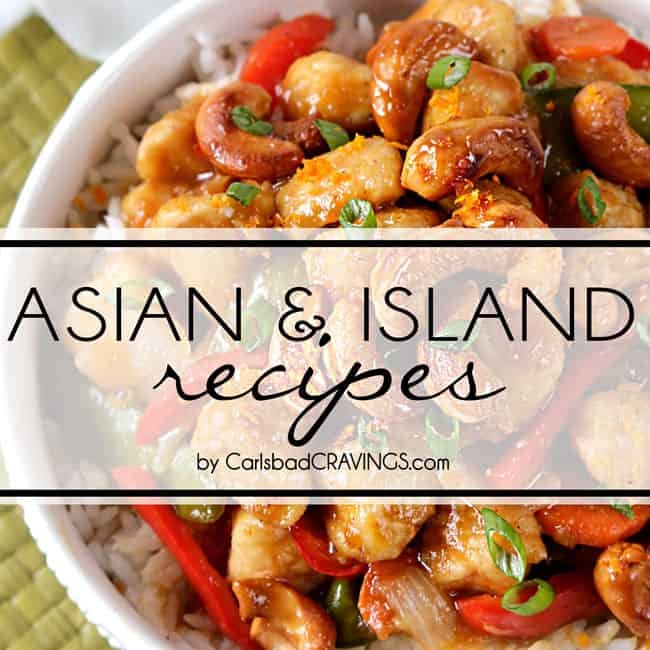 If you do love leftovers (the are SO good! ), then you will love leftover Meatball Soup for an easy lunch or dinner!Rice for Pasta: I am a HUGE wild rice fan, so I will sometimes use wild rice instead of pasta in soups If you choose to use rice, I recommend cooking it separately to ensure proper cooking of the rice and not overcooking of the veggies.Consistency: The “chunkiness” of this Meatball Soup is totally personal preference. For a less chunky soup, simply add additional broth or cream at the end of cooking. HOW DO YOU THICKEN Meatball Soup? Cornstarch: Remove some broth from the Meatball Soup and whisk in 1-2 tablespoons cornstarch with a fork until smooth then whisk it back into the soup. Simmer for 5 minutes or until thickened. Flour and butter: Mix equal parts flour and softened butter together with a fork so it becomes a thick paste and almost forms a ball. 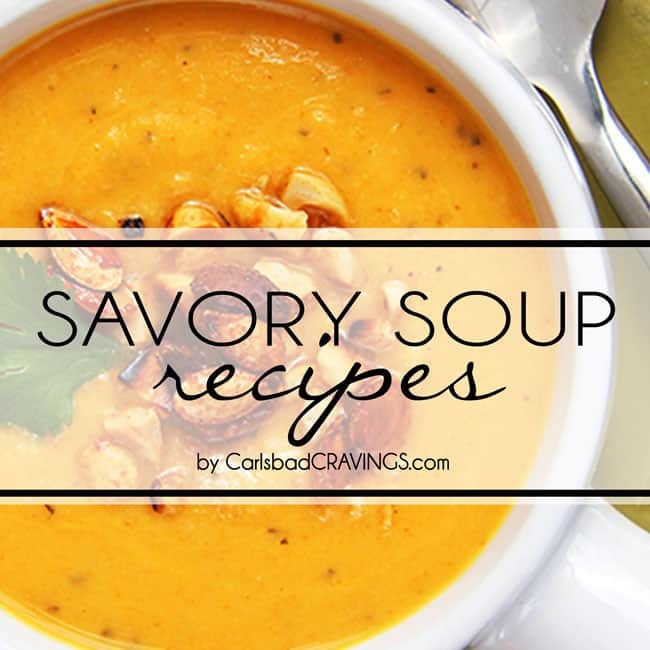 You will want 2-4 tablespoons each, depending on how thick you want the soup. Add it to the soup, simmer for 5 minutes or until thickened. What to Serve with Meatball Soup? This Meatball Soup is a mean-in-itself packed with protein, carbs and veggies! 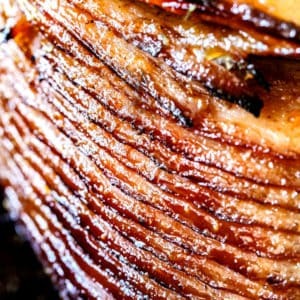 Still, I love serving it with big chunk of crusty bread, dinner rolls or breadsticks, along with big green salad, or wedge salad and fruit salad. Meatball Soup should be stored in an airtight container in your refrigerator. When properly stored, it is good for 3-5 days. CAN I MAKE MEATBALL SOUP AHEAD OF TIME? Yes! The flavors of this Meatball Soup get better the next day so it makes amazing leftovers! Take care to not overcook your pasta so it stays al-dente when stored and reheated. The soup will thicken in the refrigerator so you may need to add some milk, broth or cream before heating. HOW DO I REHEAT MEATBALL SOUP? Stove: You can reheat large batches of Meatball Soup on the stove over medium low heat, stirring occasionally until warm. Take care you don’t let the soup boil otherwise the sour cream will curdle. You will need to add some additional broth or cream to the soup because some of the pasta will absorb it while sitting overnight. Microwave: For smaller batches or individual servings, you can use the microwave. Transfer soup to a microwave-safe dish, cover with a microwave-safe lid or paper towel. Microwave for 2 minutes, stir, then continue to microwave for 30-second intervals, if needed. Stir in additional broth, or cream to reach desired consistency. 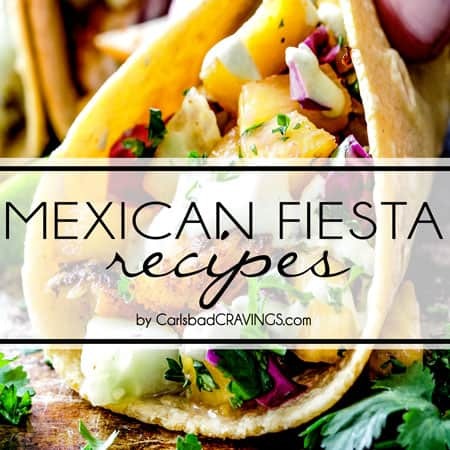 You can even add additional sour cream for a richer soup. I do not recommend freezing Meatball Soup because it contains dairy as well as pasta. When dairy is frozen, the fat separates creating a funny, unappetizing texture and it will often curdle. When pasta is frozen, it becomes unpleasantly mushy.Instead, you can freeze the meatballs (instructions above) OR share it with a friend! Cloudy with a chance of Swedish Meatball Noodle Soup. If we could be so lucky. Want to try this Meatball Soup Recipe? 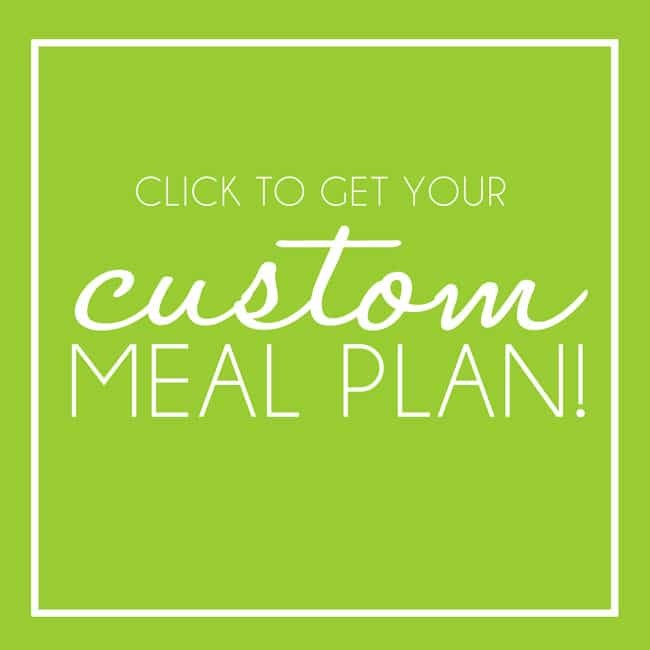 Pin itto your Soup, dinner or meatball Board to SAVE for later! To make the meatballs, place the bread into a small bowl and mix in 1/2 cup cream. Allow to stand until bread absorbs the cream, about 15 minutes, then add bread to food processor and pulse until completely broken up (it will look like mushy bread). Add pulverized cream bread to a large bowl. While the bread is soaking, heat 1 tablespoon olive oil over medium heat in a large nonstick skillet. Add onions and sauté until translucent and softened, about 5 minutes. Add to large bowl with bread. To the onions and bread, add remaining meatball ingredients and mix. Form meat into 1 tablespoon meatballs, approximately 40 meatballs. Melt 1 tablespoon of butter with 1 tablespoon olive oil in a large nonstick skillet over medium heat. Working in batches, add half of the meatballs and cook, stirring frequently, until well browned on all sides, approximately 5 minutes. Remove meatballs to paper towel lined baking sheet. Add remaining meatballs to skillet and repeat. Melt 5 tablespoons butter in Dutch oven/large soup pot over medium high heat. 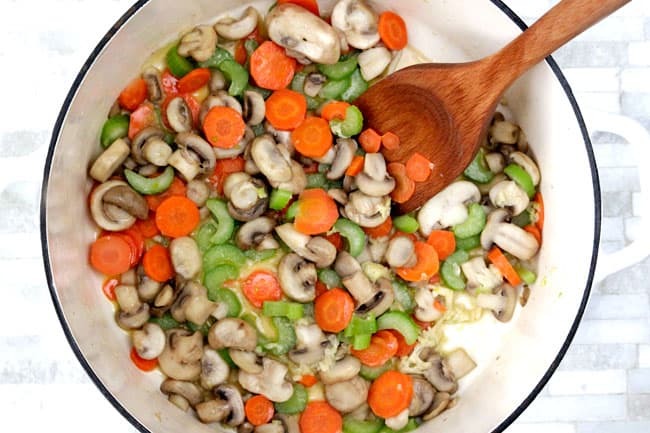 Add carrots, celery and mushrooms and sauté for 3 minutes. Add garlic and sauté for 30 seconds. Sprinkle in flour and cook, stirring constantly for 3 minutes. Turn heat to low and gradually stir in beef broth followed by heavy cream. Add Worcestershire sauce, parsley, paprika, red pepper flakes, salt and pepper. Bring soup to a boil, stirring frequently until thickened to desired consistency, approximately 5 minutes. Add meatballs and lower the heat to low. Cover the pot and cook for 5 minutes, or until meatballs are cooked through, stirring occasionally. Stir in sour cream until smooth, followed by noodles. Taste and add additional salt, pepper, red pepper flakes if desired. *For a lighter version, you may substitute milk but only use 1/4 cup and add more as needed to meatball mixture. **You may substitute milk or half and half, but keep in mind the higher the fat content, the creamier the soup. You can add more sour cream at the end of cooking to help creamify. ***For a less "chunky" soup, add more beef broth and/or heavy cream/milk. Buttered Noodles with Parmesan Cheese and garlic. We love chicken noodle soup! One of my new faves: noodles, pork sausage and peas. 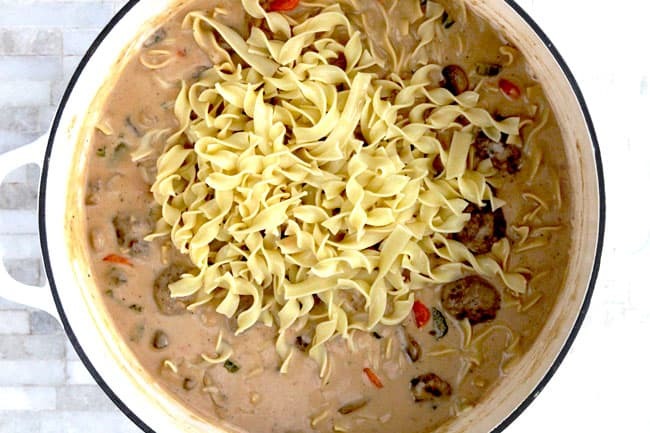 my favorite No Yolks comfort food is egg noodles with beef gravy! 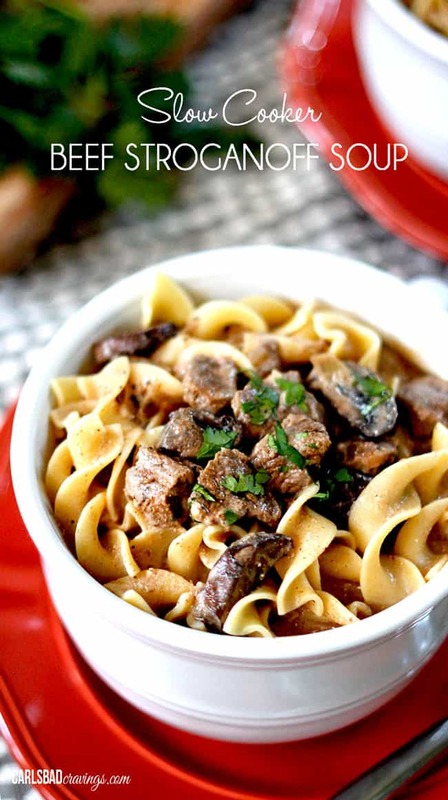 Easy Beef Stroganoff – RIGHT OFF THE NO YOLKS WEBSITE MAKES EXCELLENT COMFORT FOOD! My Lucky Day!! I can’t believe I had such good fortune to stumble onto your food site. I don’t even remember anymore what I was looking up. I just know when I came across your photos and your adorable face it was all love at first sight! 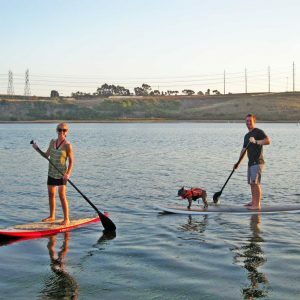 Everything looked so yummy and you and your husby and doggy look so adorbs on the water together I had to stop traveling around on the page and just look at you 3. Then I started looking at food pics and recipes and I just knew I had to find something to make, I just didn’t know what. Everything looks so yummy! It was difficult to decide which recipe to try first, but I settled on the Swedish Meatballs Noodle Soup. I chose that cause I already had all the ingredients on hand. Yes, even the No Yolks Noodles. I’m a big NYN fan from many years back. I don’t know how long they been making NYN, but I know I’ve been using them for probably close to 50 years. They’ve never let me down. I’m a big one for cooking from scratch, but there’s something to be said about noodles. One time they’re a hit, the next you’ve hit bottom. I just could never consistently make a good noodle every time. So I always use NYN and they save every recipe from being a disaster. Now that’s using the ol’ noodle!! 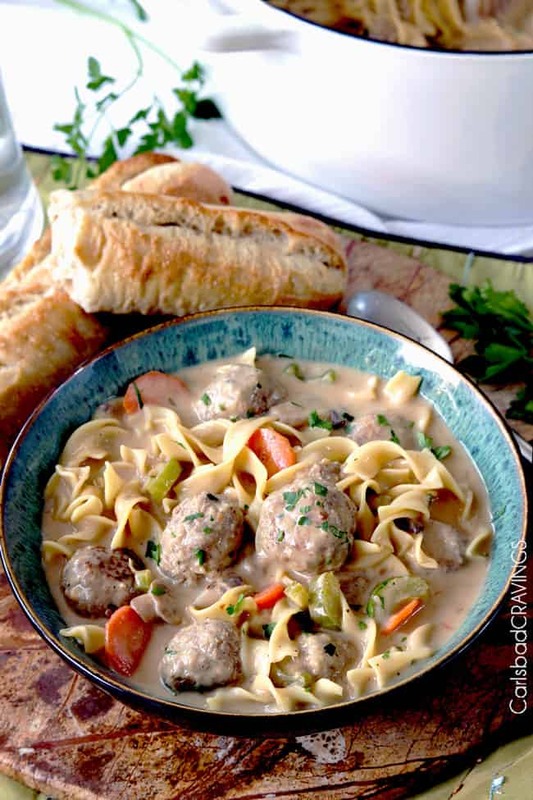 Your Swedish Meatballs Noodle Soup turned out just perfecto (smack your lips together here and throw a kiss)! I’m not sure what I will cook next, but I’m thinking it just might have some NYN in it. Have a great day and don’t mind me if I’m a tad jealous you’re in California with all that sunshine and I’m freezing here in Indiana where it’s cloudy with meatballs. Oh my goodness Dona, you are such a sweetheart! 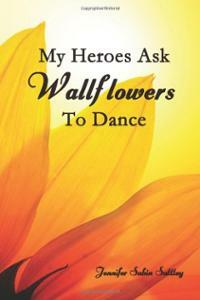 I a loved every word of your comment and can feel your upbeat, generous spirit just bouncing through the screen. 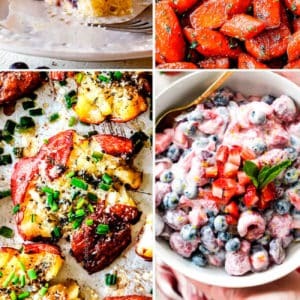 I am so happy you stumbled upon my blog and my recipes! 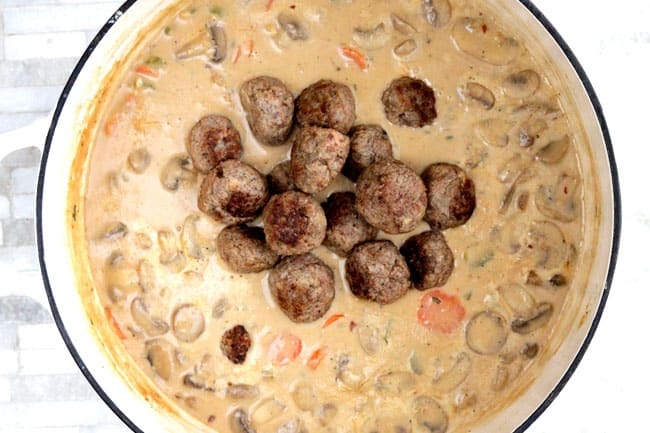 I am thrilled you enjoyed the Swedish Meatball Soup and am excited for you to try more recipes! I laughed out loud at your last line, and wish I could serve you up some sunshine! All the best and so nice to meet you!! Hugs! Hi Pamela! With the ingredients as written it is best as a stovetop meal. 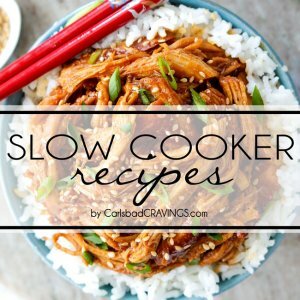 You could certainly prepare it then add it to the slow cooker to keep warm. Sorry I can’t be of more help without experimenting first! This was so good, but the following day was no longer a soup but more of a stroganoff. I was disappointed because it was awesome as a soup. I’m so happy you loved it! It is definitely best the first day so if you don’t want leftovers then you can half the recipe or add broth to your soup the next day.